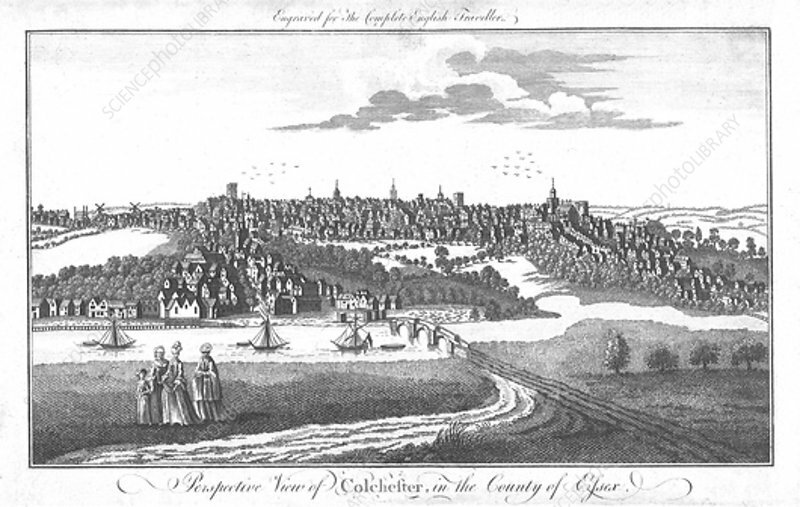 A Perspective View of Colchester, in the County of Essex. ', c1742. View of the town, with ships on the River Colne. From The Complete English Traveller.